Chaldeans are native people of Mesopotamia. The term Chaldean is also noted in the Holy Bible of the Hebrew Ur Kasdim (according to long held Jewish tradition, the birthplace of Abraham in Chaldea) as meaning Ur of the Chaldees. Chaldean /kælˈdiːən/ (ܟܠܕܝ̈ܐ), or Chaldean,, originally called The Church of the East, which was that part of the original universal church (Catholicos) until the 4th century AD when Chaldeans followed Bishop Nestorius and split from the universal Christian church. Chaldeans were called Chaldean Nestorian but belong to Chaldean Church of the East until 1553 AD when Chaldeans rejoined the universal church and entered communion with the Catholic Church. In addition to their ancient Mesopotamia in Iraq, northeast Syria, northwest Iran and southeast Turkey, (a region roughly corresponding with ancient Mesopotamia) Chaldean people communities are found in the United States, Sweden, Germany, France, Canada, Lebanon, Jordan and Australia. Chaldean Catholics of Mesopotamia started the Saint Thomas Christians of India (also called the Chaldean Syrian Church), who are also sometimes known as "Chaldean Christians". The modern Chaldean Catholics are native Chaldeans of Mesopotamia  and originated from ancient Chaldean communities living in and indigenous to Iraq/Mesopotamia which was known as Chaldea from the 53rd century BC till today as Chaldean people continue to survive in Mesopotamia. Chaldean Americans are descendants of native people from Mesopotamia or the Tigris-Euphrates Valley, presently located in the Middle Eastern nation of Iraq. The majority of Chaldean Americans live in Detroit, Michigan, although there are also Chaldean Americans in Chicago, Illinois; El Cajon, San Jose, and Turlock, California; and Oaxaca, Mexico. It is difficult to determine the exact number of Chaldeans in the United States because they are not represented as such in the U.S. Census. According to statistical projections from previous data on the Chaldean American community, however, it is estimated that Chaldeans in the Detroit metropolitan area may number as many as 350,000; in California they are projected at 100,000 persons. Although Chaldean Americans constitute the bulk of Iraqi immigrants living in the United States, they represented less than 10 percent of the population of Iraq by 2003. While the vast majority of Iraqis, like residents of other Arabic nations, are Muslim, Chaldeans are Roman Catholic, and practice one of the 18 to 20 separate rites of the Catholic Church. They also differ from other Iraqis in that their ancestral language is not Arabic but Chaldean language of Neo Aramaic. Chaldeans may also be knows as Syriac (religious term) or neo Assyrian (or Chaldean Nestorians until 1870 AD). 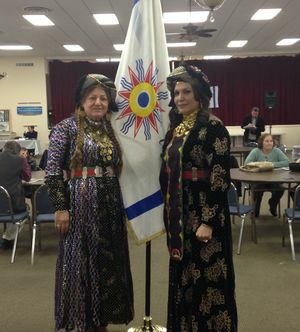 Chaldean Americans are a highly respected people proud of their Christian heritage. According to legend, they were converted to Christianity by the Apostle Thomas on one of his missionary journeys to the East. (St. Addai, an associate of Thomas, is revered as a Chaldean patron.) In the third century, they were followers of Nestorius, a patriarch of Constantinople who was declared a heretic by the Roman Church for teaching that Jesus Christ was not concurrently God and man. This division between the followers of Nestorius in the East and the Roman Church lasted until 1445, when some Chaldeans were received into the Roman Church by Pope Eugenius IV. They were permitted to retain their historic rituals and the Chaldean/Aramaic language for mass and other ceremonies. Searching for an appropriate name to call this new Catholic rite, the Pope focused on the Chaldean historic native homeland of Mesopotamia, the native Chaldean history and Chaldean culture, which in ancient times had been the land of the Chaldeans Babylonians. It was also the historic homeland of the prophet Abraham, who came from Ur, a city of the Chaldeans. Hence, the Pope recognized "Chaldean" as the name for the new Catholic rite and as a continuation of recognition of our Chaldean people as the native people of Mesopotamia. Some of the earliest members of Detroit's Chaldean American community recall hearing stories from their grandparents about the conversion of their Chaldean towns in Mesopotamia Iraq, Syria, Southern Turkey and Western Iran from Nestorianism. This occurred in about 1830, when the town recognized the Roman Pontiff as the head of the Church. While Chaldeans are believed to have immigrated to the United States as early as 1889, the first significant migration wave did not occur until around 1910, when Chaldeans began settling in metropolitan Detroit. At the time, Detroit was popular among a number of immigrant groups because of the growing automobile industry. It also had an established Middle Eastern community during this period, consisting primarily of Christian immigrants from Lebanon. In 1943 community sources listed 908 Chaldeans in the Detroit area; by 1963, this number had tripled, to about 3,000 persons. An even greater number of Iraqi citizens immigrated to the United States due to changes in U.S. immigration laws during the mid-1960s, and growth in Detroit's Chaldean American community became even more dramatic, increasing to about 45,000 in 1986, and approximately 75,000 by 1992. (These figures are based on the statistical projections and estimates of Chaldean American community leaders.) This period also saw an increase in immigration to other parts of the country, particularly California. The majority of Chaldean Americans left their homeland for economic and religious reasons. Baghdad and many poor Chaldean towns as such Telkaif Tel Keppe n the early 1900s was a poor, non-industrialized village. Many left the town for nearby cities such as Mosul, Baghdad, Basra, or Beirut. Only later did some of them decide to migrate to the United States, or simply to North America. At the time the earliest settlers came, the United States had not yet introduced restriction on immigration, making entry relatively easy. Migration at that time was largely a male phenomenon; women and children generally stayed behind until their husbands, fathers, and brothers became established. Chaldeans also fled their homeland to escape religious persecution from the Muslim majority in the Middle East. The combination of religious freedom, an established Lebanese Moronite community, and economic opportunity made the United States, particularly metropolitan Detroit, inviting. 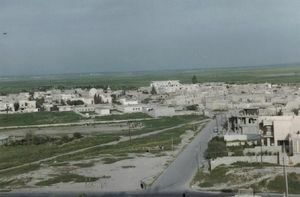 Once members of the Telkaif community had settled in the area, they encouraged others from various Chaldean towns such as Al Qosh, Batnaya and Tel Askof in Mesopotamia to join them. Thus began an immigration process, known as "chain migration," between Chaldean Telkaif and Detroit, that continues to the present. In this process, members of the Chaldean community who have already established themselves in a new location assist relatives and friends left behind to migrate as well. The assistance they provide can take many forms, including the provision of jobs, a place to stay, or, at the very least, information and advisement. Close relatives may even provide money for passage. In a typical chain, a man migrates first; later he sends home for his wife and children, or if he is not married, he may return to find a bride. As he and his wife become citizens, they arrange for the migration of their parents and siblings as well. And these, in turn, arrange to assist their spouses, in-laws, and other relatives. This type of assistance became especially important in the 1920s, after the passage of U.S. quota limitations on migration. Under quota restrictions, only 100 immigrants from Iraq were allowed to enter the United States each year. These quotas reinforced the chain migration process by giving preference to the families of persons already in America, under the assumption that such persons would have assistance in the United States and were less likely to become indigent and require public assistance. Migration of all types largely ceased during World War II when travel became difficult. It commenced again following the war, particularly with the introduction of the student visa, which allowed migrants to enter the United States for educational purposes, on the assumption that they would return home following their training. Many Chaldean Americans entered as students and later married members of the community, thus allowing them to remain in the country. The 1968 change in U.S. migration law allowed for a significantly larger number of immigrants from Iraq, and the migration of Chaldeans increased substantially. A steady stream of Chaldean immigrants came to the United States, until the onset of the Gulf War when the United States placed restrictions on immigration from Iraq. Acculturation and Assimilation. 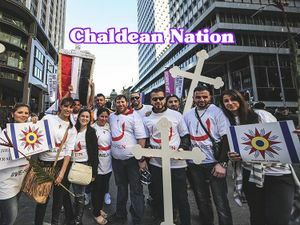 The steady rate of Chaldean migration has had a profound effect on the assimilation of Chaldeans in American society because it has provided a constant influx of Chaldean culture. However, many changes have taken place in Iraq since the first Chaldean settlers came to the United States, which, in turn, has greatly altered Chaldean American communities. ↑ BBC NEWS (March 13, 2008). "Who are the Chaldean Christians?". BBC NEWS. Retrieved March 26, 2010. This page was last modified on 16 March 2019, at 01:46.